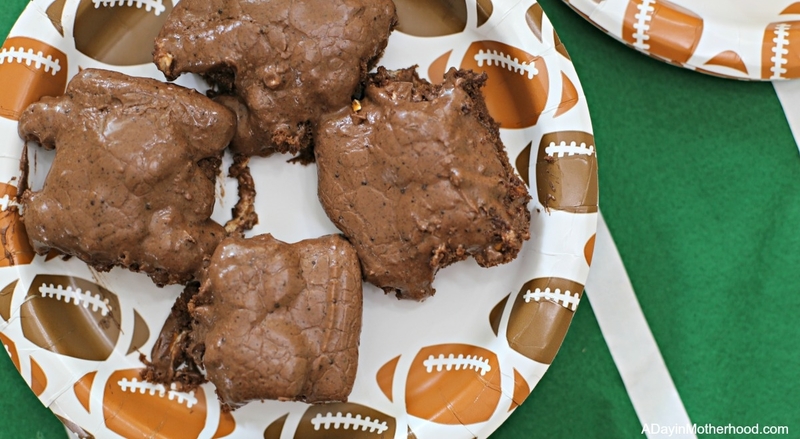 Twisted Mississippi Mud Brownies: Perfect for Homegating! COLLEGE FOOTBALL SEASON IS HERE!! Sorry, did I say that too loud? Not loud enough? You KNOW I am excited. The dark days of no college football on TV are over and I could not be happier! If you follow me at all, you know that football, me and great food for homegating go together. So much so that I overdo it as much as possible on game day. Of course, on a budget, I have to be careful so I shop for the ingredients for my Twisted Mississippi Mud Brownies at Dollar General. While there I also pick up the cold and refreshing beverage of choice: Dr Pepper®! No homegating table is complete without the drink that has been a part of college football for over 25 years! I LOVE the football themed bottles and cans and make sure I stock up so that I can have it on hand for all of the pals I invite to watch the game! 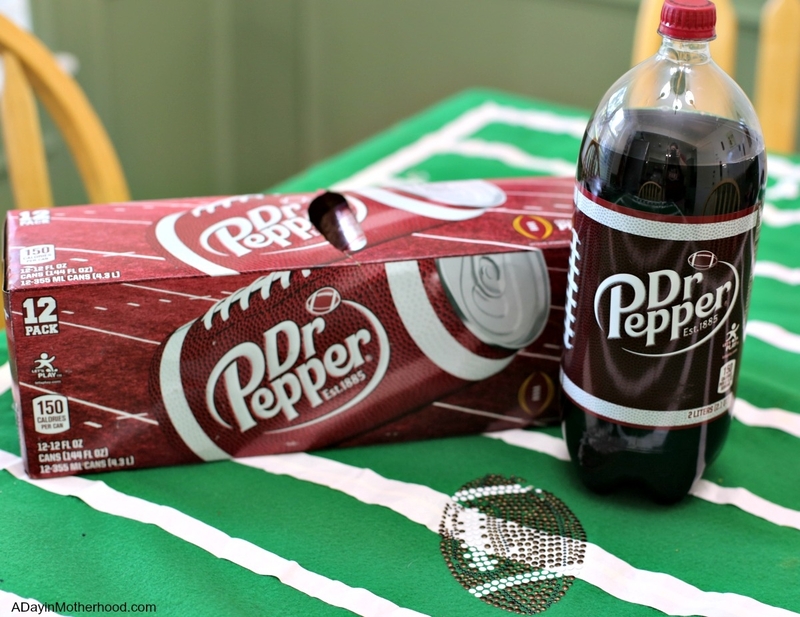 A college football fan favorite, Dr Pepper has 23 flavors that give it a rich, indulgent taste. I use it in recipes and have it on hand for anyone who wants to enjoy it while cheering on their favorite team. 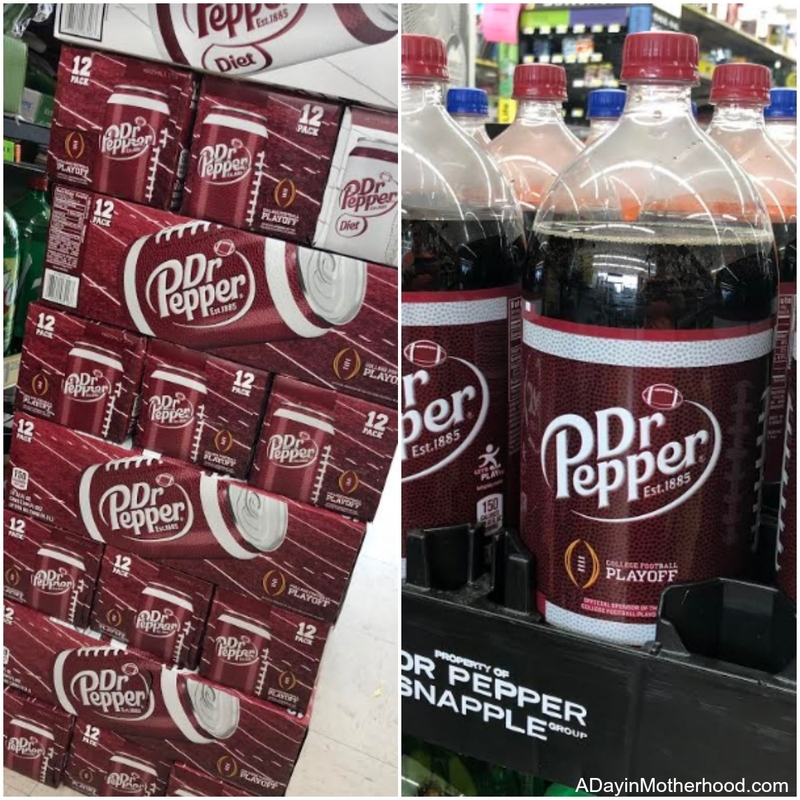 Since Dollar General is the store closest to me, and because I get rewarded every time I shop there for Dr Pepper, it makes sense to get the rest of the things I need for a college football homegate party there too! 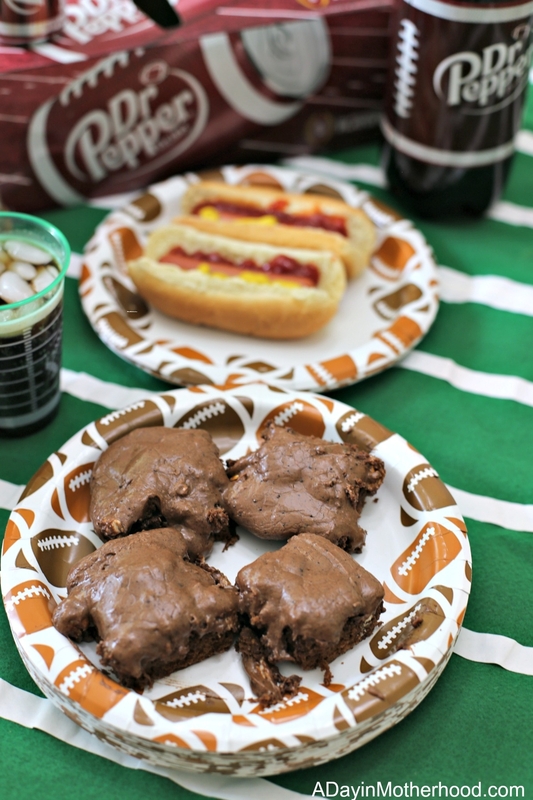 From football themed plates to cups, plastic wear to all of the ingredients for my Twisted Mississippi Mud Brownies, Dollar General had it all. I was in and out in under 20 minutes and saved a TON of money! 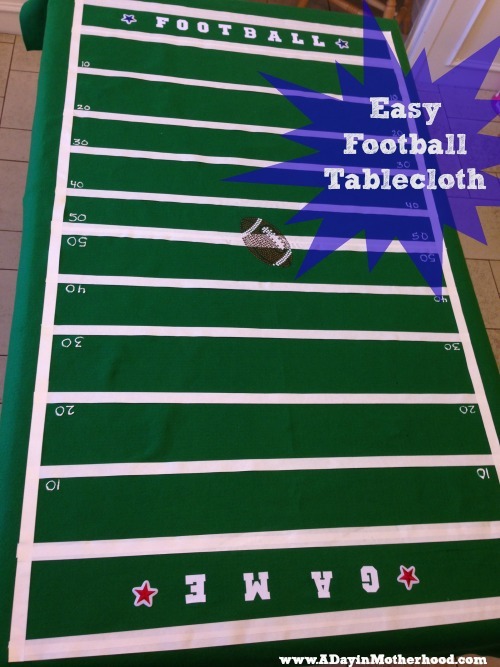 Let’s get to the recipe before we get to the set up which includes my DIY Football Tablecloth! 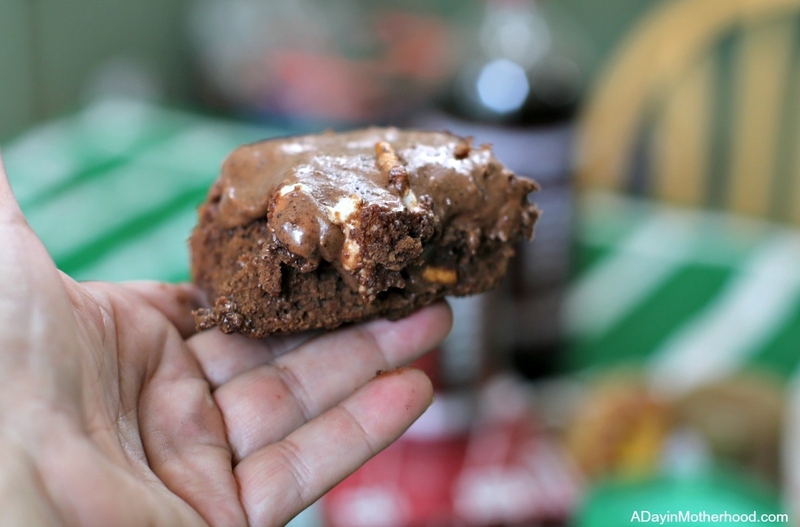 These Twisted Mississippi Mud Brownies are easy and fun! 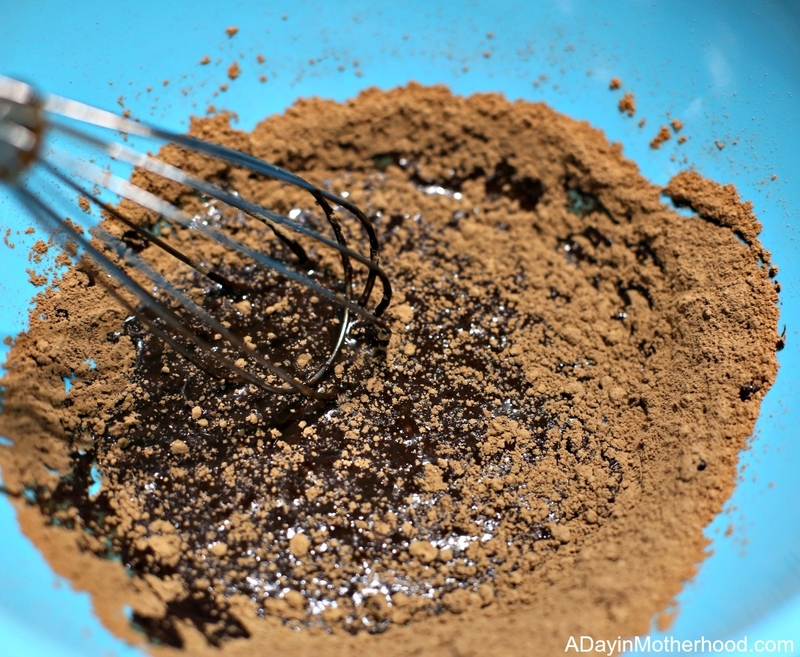 In a large mixing bowl, pour oil over cocoa powder and mix. Add softened butter and mix until smooth. Add sugar and mix for 1 minute. Add eggs, one at a time, mixing after each addition. Add vanilla and mix. Add flour and salt and stir to combine. Pour batter into prepared pan. Bake for 25-30 minutes or until a toothpick inserted into the center comes out clean. 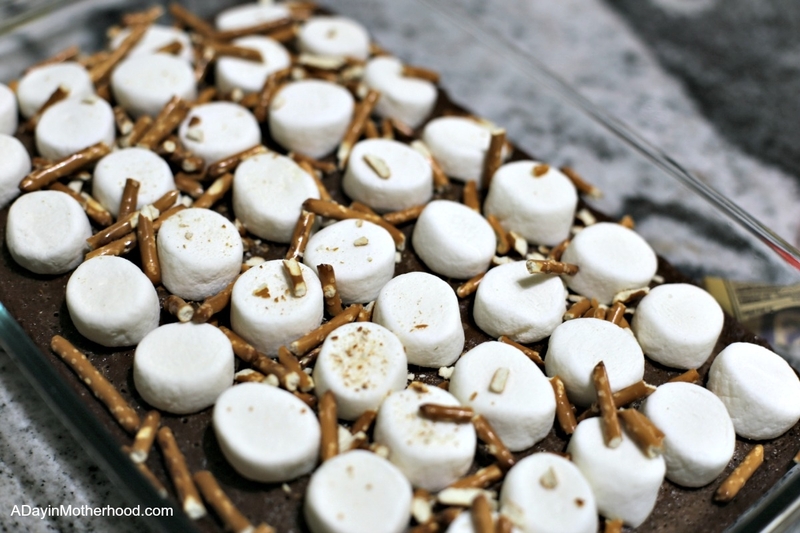 Remove brownies from the oven and sprinkle the marshmallows and pretzels on top. 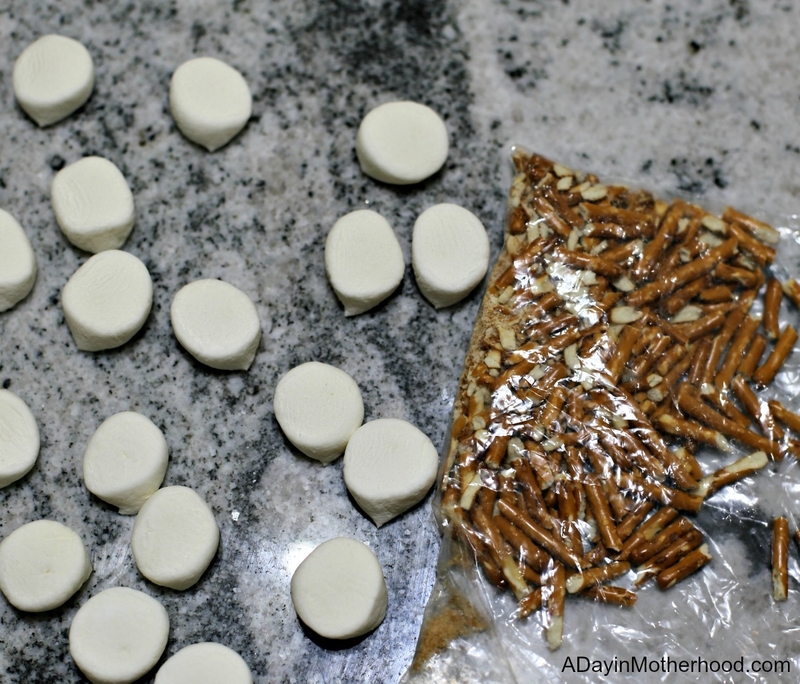 Return to the oven for 2-3 minutes or until the marshmallows are puffed. Remove from oven and allow them to cool completely. Leave them in the pan to cool. Have you figured out the ‘twisted’ part yet? Yep, the pretzels! 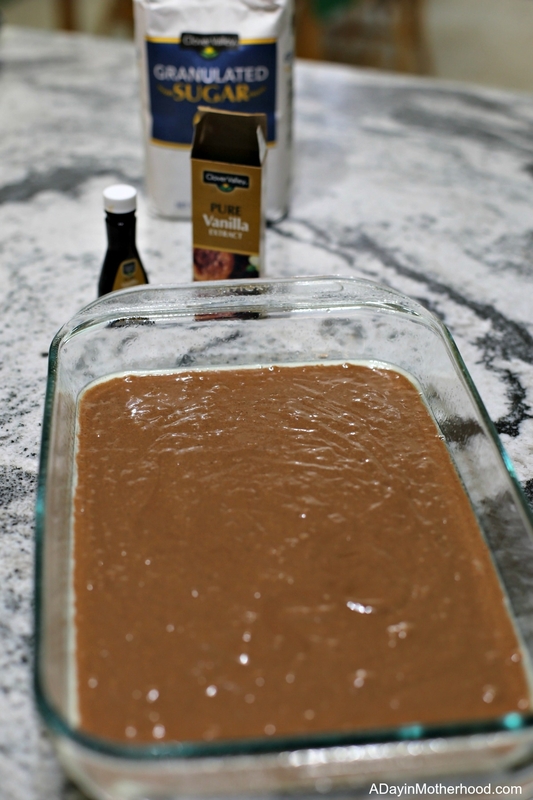 I LOVE LOVE LOVE pretzels in chocolate so adding them in to traditional Mississippi Mud Brownies is just a no-brainer! Adding a layer of pretzels adds a crunch to these brownies that you will love. Add to them a side of Dr Pepper and your homegating party will shine with flavor. Now let’s talk a little about the table you will sit your Dr Pepper on! I think homegating should have a theme. Mine always include my DIY Football Tablecloth to inspire it all. I then add football themed plates and cups, all gotten at Dollar General and some food to go along with the sweets. 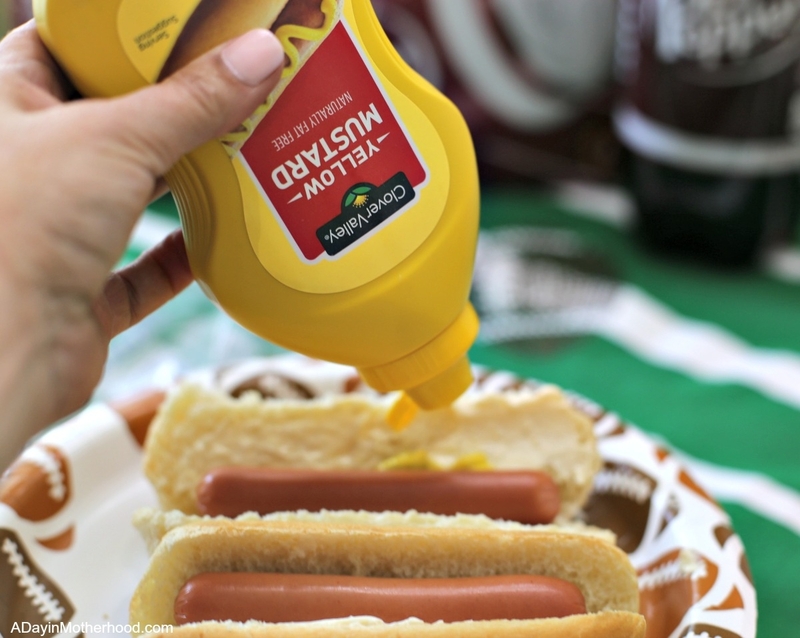 Picking up Dollar General hot dog buns, ketchup, mustard and mayo for easy and fast homegating hot dogs is the best way to get this done on a budget. So there you have it. 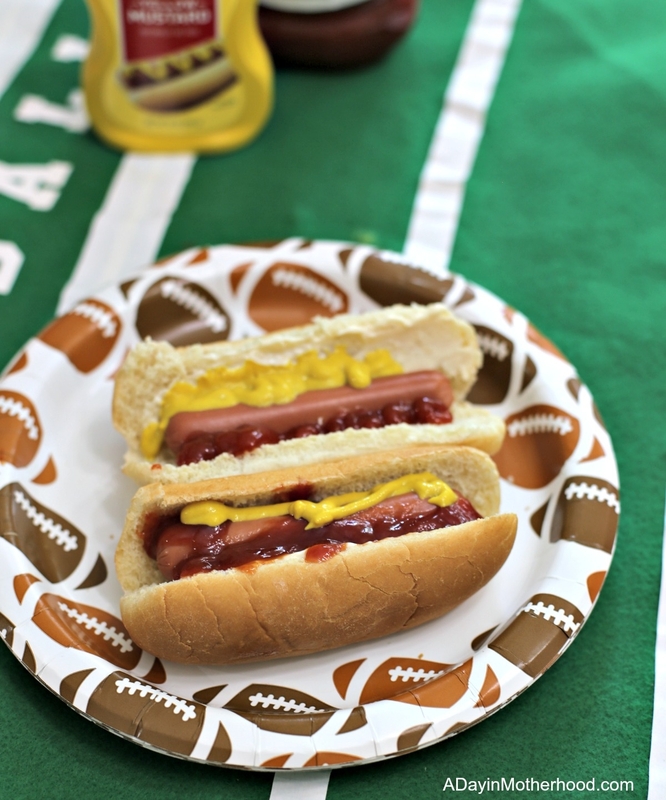 A college football homegating spread everyone will love. 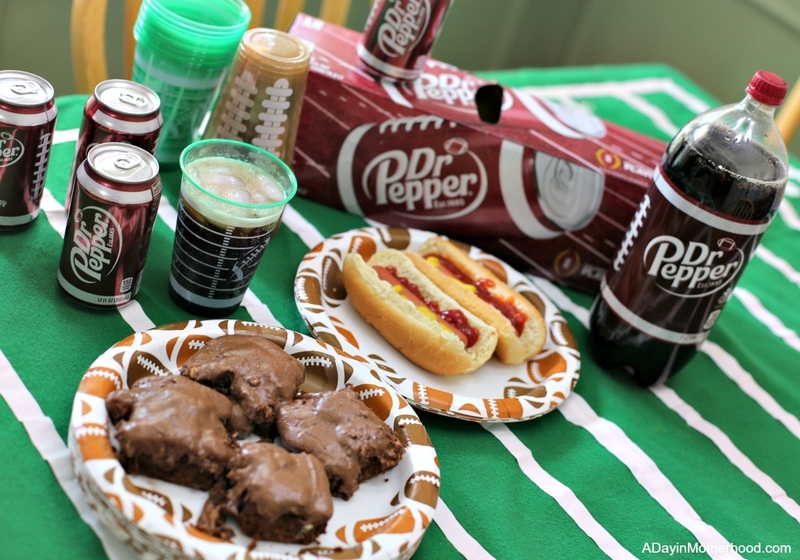 The star is the Dr Pepper in the football themed packaging, followed by my Twisted Mississippi Mud Brownies Recipe and topped off with some hot dogs everyone will love. How do you homegate on a budget?